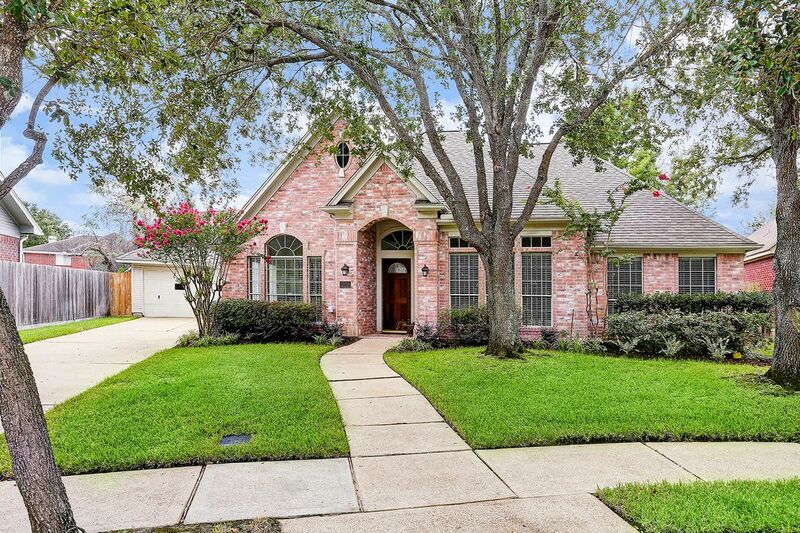 13031 Fox Brush Lane, Houston, TX 77041 | Martha Turner Sotheby's International Realty, Inc.
Great culture-de-sac lot, detached garage with extended driveway. Front door was just refinished! 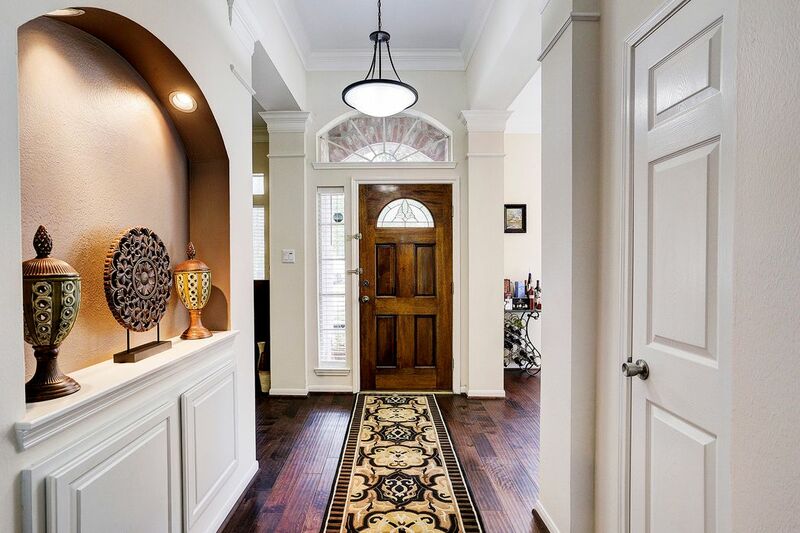 Entended entry with tall ceilings, crown molding and decorative art niche. Formal living o the left, formal dining on the right. 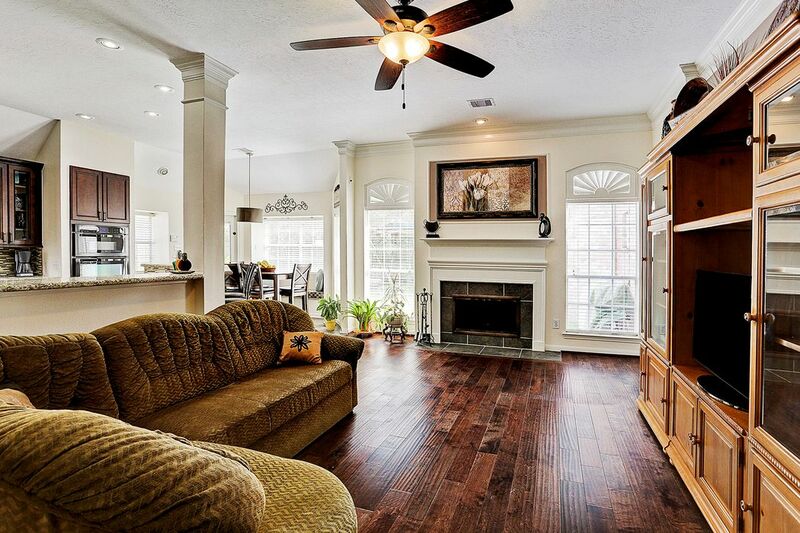 Formal living room with wood floors and crown molding. 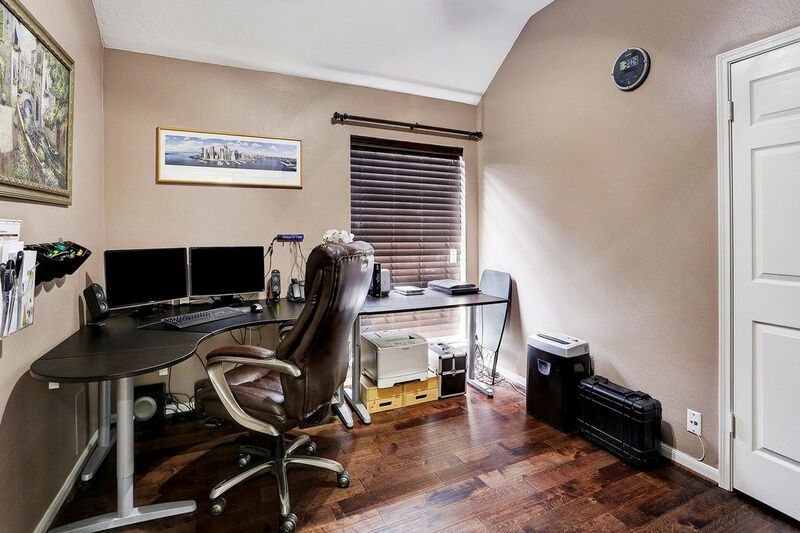 Could also be used for home office. 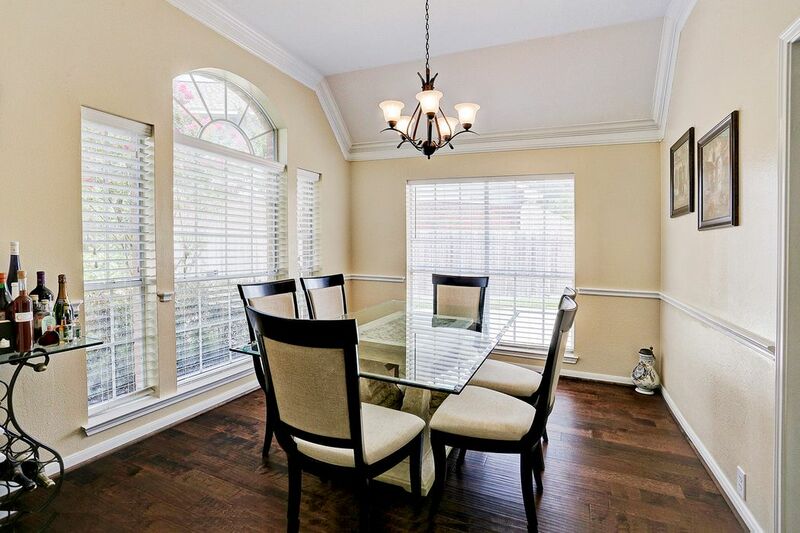 Spacious formal dining room with tons of natural light, coffered ceilings and decorative molding. open family room with full view of back yard. The actual size is bigger - large furniture in the room makes it seem smaller in the pictures. 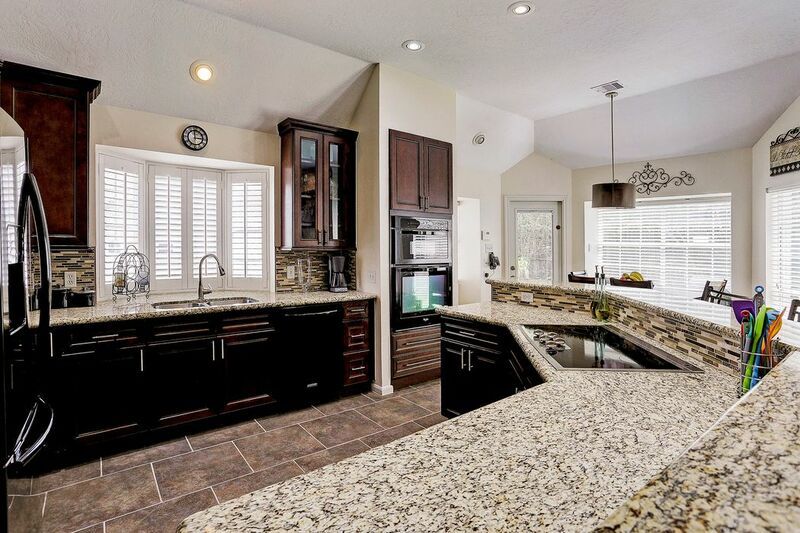 Bakers kitchen with custom granite and backsplash along with upgraded appliances and glass view display doors. Hallway to the left of the refrigerator is walk-in pantry and large utility room with plumbing for a mop sink. 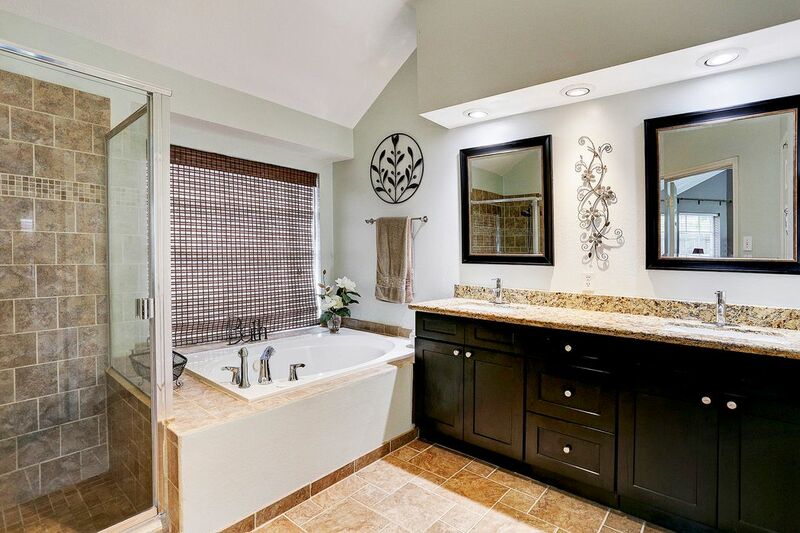 Owners bathroom with jacuzzi tub, walk in shower, dual sinks and granite tops. Secondary bedroom with custom closet organizer. Secondary bedroom currently being used as a home office. 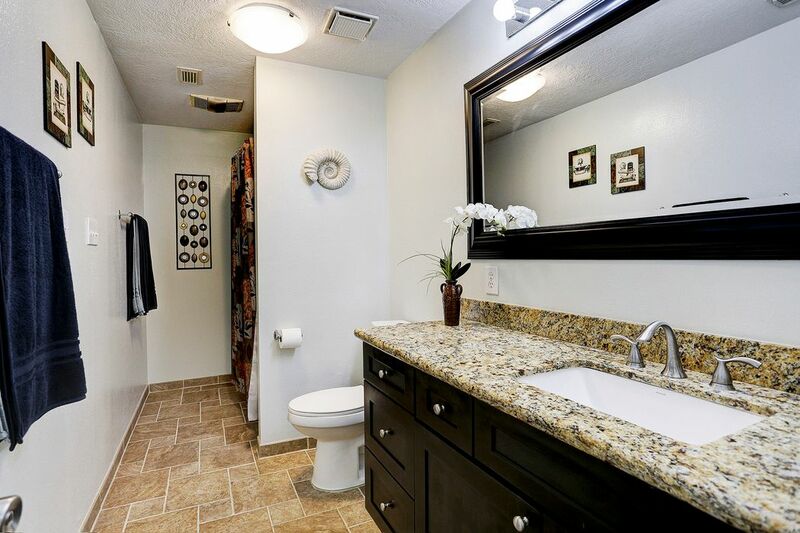 Secondary bathroom with granite tops and decorative mirror. 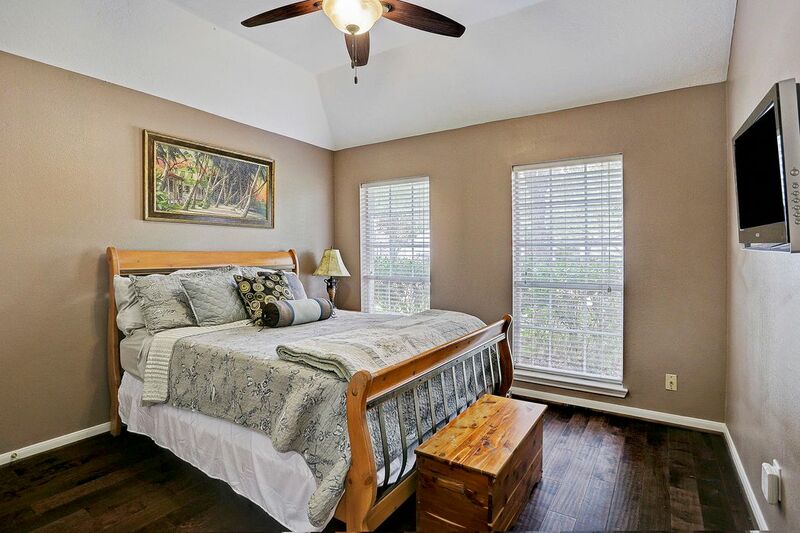 $267,000 4 Bedrooms2 Full Baths2,501 sq. ft. 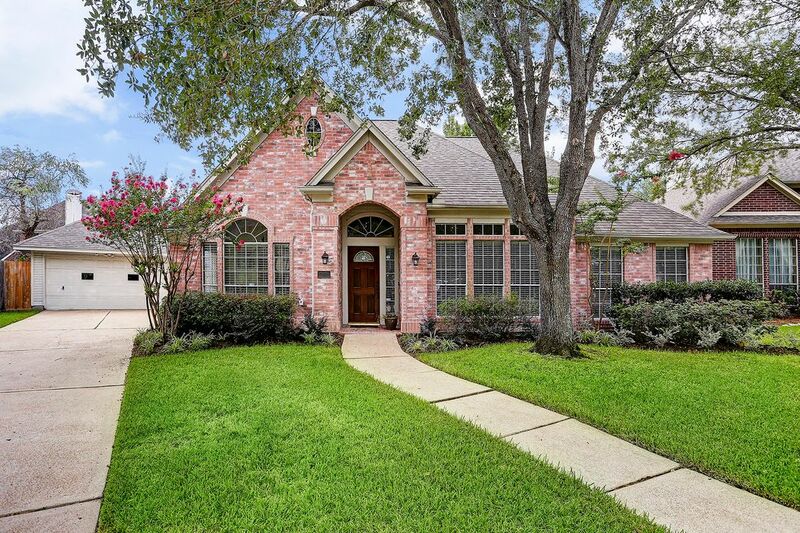 This beautiful, fully updated home with custom level features is ready for move in. 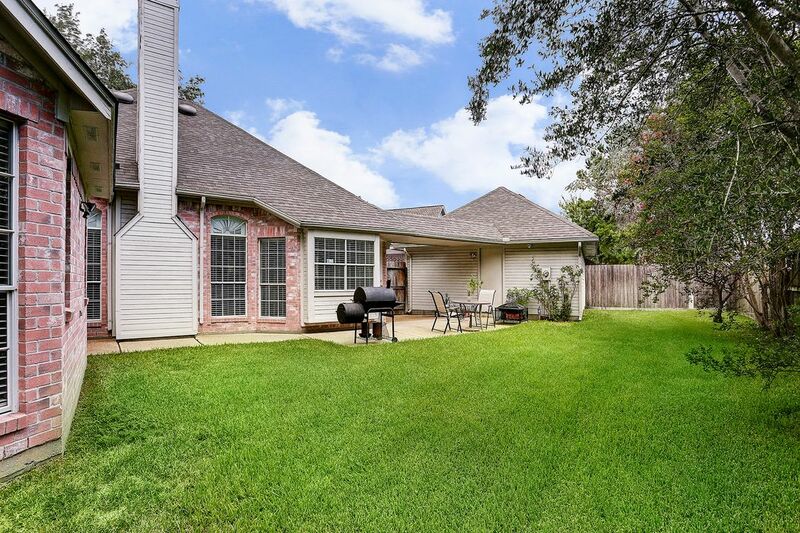 Located on a large cul-de-sac lot, this 1-story home features high ceilings, wood and tile floors throughout (no carpet) and an open floor plan. Grand extended entry with formal living room and dining room located on the left and right set the tone. 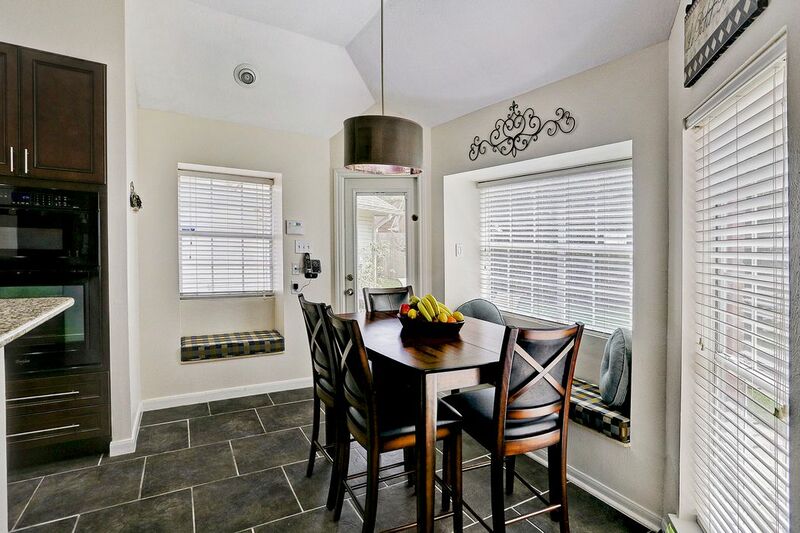 Open family room offers panoramic view of backyard, kitchen and breakfast room. 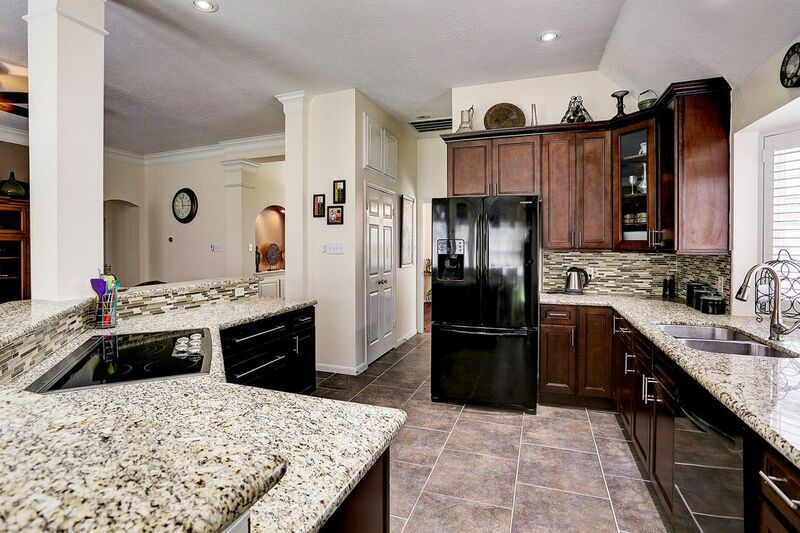 Baker’s kitchen features designer granite and backsplash, upgraded glass display cabinets, flat surface cooktop, walk-in pantry and more. Spacious utility room large enough for a full size washer and dryer and has plumbing for a mop sink. 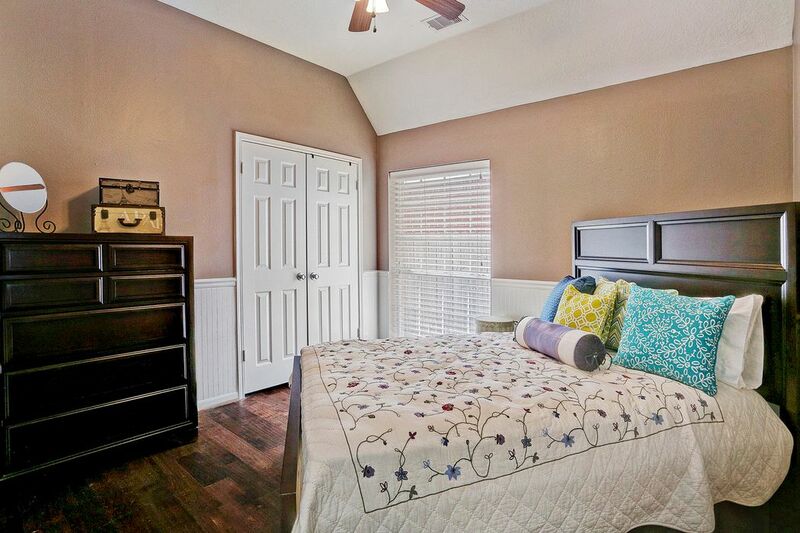 Oversize owner’s retreat with plenty of natural light and coffered ceiling. 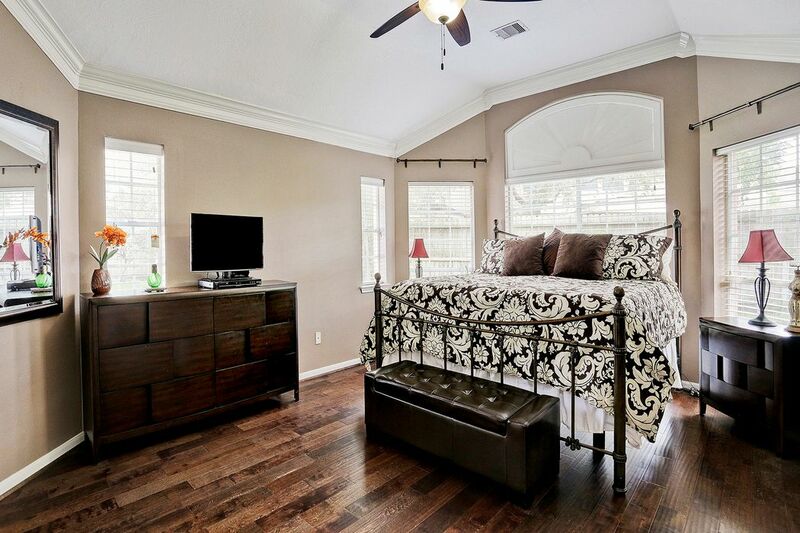 Owner’s bath features upgraded granite countertops with custom faucets, Jacuzzi tub, walk-in shower and great closet space. 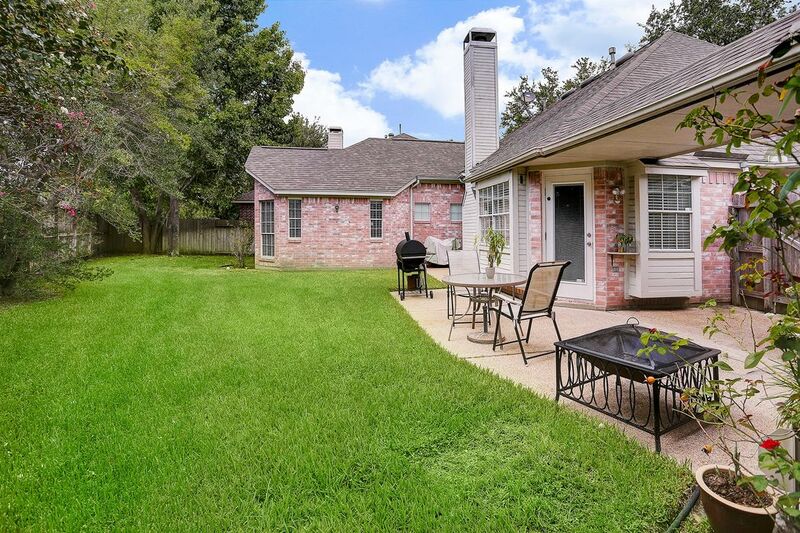 Plenty of backyard green space. 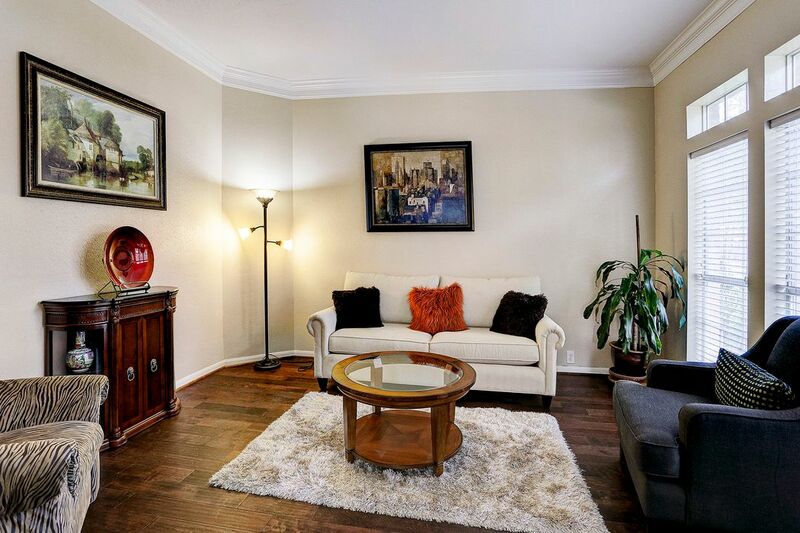 Close to community amenities. Did not flood during Harvey.